Jumping out of an airplane with nothing but a parachute to get you safely to the ground requires quite a bit of trust in the material and mechanics of that parachute. Common sense dictates that you would want a parachute material capable of withstanding the stresses of skydiving. Well, guess what? The same kinds of forces that put stress on parachutes also put stress on truck tarps. So why not use parachute material to make a better truck tarp? We have good news in this regard: parachutes are not just for jumping out of airplanes. 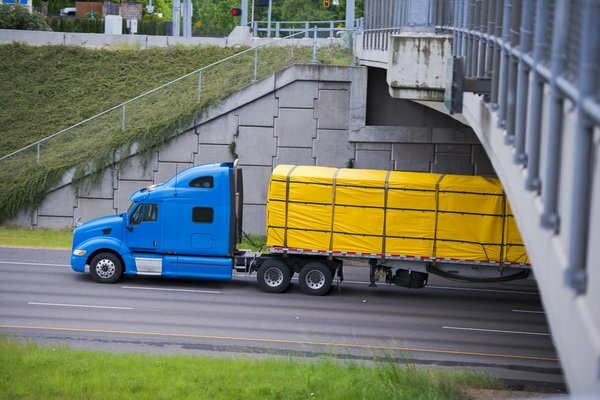 Manufacturers are now beginning to utilize parachute cloth for making stronger, lighter truck tarps capable of withstanding the punishment of the open road. Mytee Products has just introduced our own selection of parachute/airbag tarps. We know, the industry has been using vinyl for what seems like an eternity. But as great a tarp material as vinyl is, parachute cloth is better. We encourage you to at least consider parachute cloth tarps when it comes time to replace your vinyl and canvas. Parachute cloth is as a ripstop nylon material. It doesn’t really have to be nylon, but most parachute cloth is. The ‘ripstop’ designation refers to the fact that the cloth is exceptionally resistant to rips and tears thanks to a special kind of weave. Normal weaves go in just two directions. The warp goes in one direction, the weft in a perpendicular direction. Parachute cloth is different. Parachute cloth manufacturers employ a special technique that involves interweaving reinforcement threads throughout the fabric in a crosshatch pattern. If you have ever seen a baseball diamond just prior to the first pitch, you should have a good understanding of what a crosshatch pattern is. The outfield displays a crisscross pattern left by a mower being run across it earlier in the day. If you were to take that mower and go across the infield one more time, perpendicular to the intersections of the crisscross pattern, you would wind up with a crosshatch pattern. The extra weave essentially creates an extra woven ‘joint’, as it were, at every intersection of the warp and weft. This is what gives parachute cloth its exceptional strength. The mass of the extra thread provides additional reinforcement throughout the entire weave. Now that you understand the basics of parachute cloth, let us discuss why it is a better alternative for truck tarps. The benefits of parachute cloth can be encapsulated in a single word: weight. Simply put, lighter is better for most applications. As a truck driver, you know that the point of tarps is not cargo securement. Your loads are secured by way of chains and straps. You deploy tarps to protect cargo from weather and road debris. As such, you need tarps strong enough to withstand highway speeds, rough weather, and temperature extremes. If you can get away with a lightweight material without compromising tarp integrity, that’s good for you and your physical health. Let face it; vinyl tarps are heavy. They are unwieldy under windy conditions. A parachute tarp that is up to 40% lighter is a lot easier to deploy in any weather. It is easier on your back and arms, too. And don’t forget speed; a lighter tarp can be deployed faster because it requires less physical effort on your part. Yes indeed, parachutes are not just for jumping out of planes anymore. Now you can use the same material skydivers trust their lives with to protect the cargo on the back of your trailer. It is a beautiful thing. Cattle ranchers and hobbyists alike are discovering electrified fencing is a viable alternative to barbed wire for containing cattle. But no fencing product is perfect. Electrified fencing’s biggest downfall is a lack of power. What do you do when weather knocks out fencing by knocking out the power? A loss of power is certainly not the end of the world. With the right preparations beforehand, a power outage does not need to disrupt a landowner’s operations at all. A few of those preparations are explained below. In the meantime, note that Mytee Products now sells electrified fencing materials including wire and several different kinds of energizers. Cattle that have never been exposed to electrified fencing need to be trained before being put into the field. Training is fairly simple to do, and there are lots of online resources explaining how to do it. The point we want to make is that sound training is one of the best defenses against the power going out. Remember that cattle do not innately know when they are in the midst of a power outage. Well-trained cattle rarely get close enough to electrified fencing to be shocked. In fact, they will stay several feet away from a fence line – at minimum. Some cattle are so leery of being shocked that staying 20 to 30 feet away isn’t out of the question. What does this tell you? That well-trained cattle might never know the power is out because they never get close enough to the fence line. Another thing ranchers and farmers can do is keep a few solar-powered energizers on hand. During an extended power outage, cattle can be moved to a single field. The fencing can be temporarily disconnected from its hardwired energizer and connected to a solar energizer until power is restored. This solution would require going out into the field to manually swap energizers in the midst of a power outage. But it is better than spending your days worrying about whether cattle have gotten out. In the absence of solar energizers, a farmer or rancher could run a generator or two to keep the fencing live. This is not the most desirable option as generators make noise and are subject to theft. But if it has to be done, it has to be done. Generators can run indefinitely as long as they are fueled. The one advantage of using a generator is that energizers do not have to be swapped. A properly configured set-up would involve nothing more than placing a generator in a strategic location, plugging in the fencing system, and starting motor. Some farmers and ranchers maintain one field with a barbed wire fence just in case. In the event the power goes out for a while, cattle can be moved to that field. This may not be the best solution for somebody who cringes at the thought of cattle becoming entangled in barbed wire, but it is workable. Power outages have been an inconvenience ever since electrified fencing was first invented. It is not a problem that spells doom and gloom for farmers and ranchers. If you know how to work with the tools you have, you can get by without power for an extended amount of time. Both you and your cattle will survive. Mytee Products invites you to take a look at our hardwired and solar energizers for your next fencing project. Our electrified fencing materials are ideal for both permanent and portable containment systems. John needs to move an unregistered, uninsured car from one location to another. He can pay a professional to haul the car for him, or he can haul it himself. There is no shortage of amateurs that choose the latter option to their own detriment. Amateurs simply do not know what goes into hauling cars safely. As a professional auto hauler, you know what it takes to do your job right. We would be willing to bet that you have chuckled in amusement more than once after coming upon a DIY hauler whose methods clearly demonstrate a lack of knowledge. If only amateurs knew what you know. Perhaps their efforts might be a bit safer and more efficient. How many times have you noticed an amateur hauling a car – or any kind of vehicle for that matter – on the back of a trailer with only one or two straps keeping the vehicle in place. What a recipe for disaster this is. A couple of straps will not do it if things get ugly for any reason. The professional uses multiple auto hauling straps and chains to secure the vehicle at as many locations as necessary to keep it secure. You might use wheel straps on each of the four tires along with a chain at the front and back. Even blocking the wheels is not out of the question if necessary. It should be obvious that DIY car haulers do what they do to save a little money. That’s fine. What they don’t know is that DIY hauling isn’t cheap if they are doing it correctly. There is more to it than borrowing your neighbor’s utility trailer, loading your car onto it, and heading down the highway in a state of ignorant bliss. First and foremost, you need the right kind of trailer capable of handling the weight. Next, you need the right kind of trailer hitch. Next are the various straps and chains necessary to secure the vehicle to the trailer. And finally, there is the matter of informing your insurance company that you are planning to haul a car. DIY car haulers may have to add a temporary rider to their insurance to cover an accident. 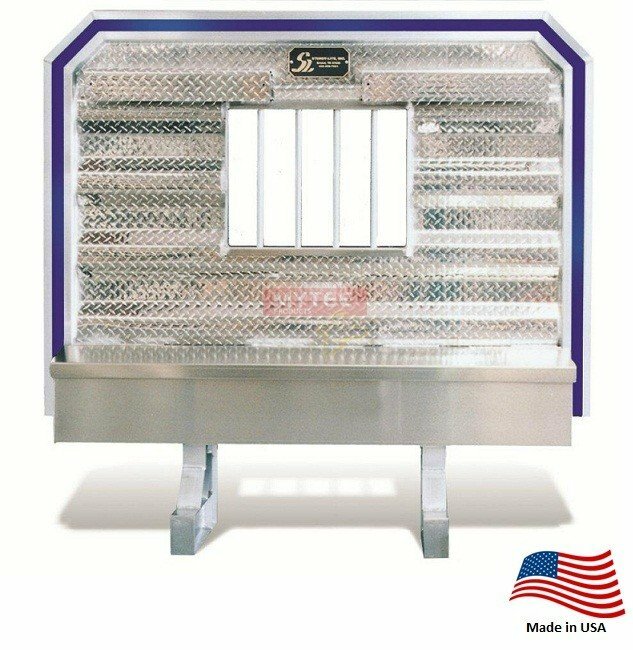 If equipment and costs are not enough to dissuade the DIY car hauler, he or she is probably not aware that there are certain federal, state, and local laws that have to be followed. The starting point are federal and state laws that require cargo to be secured properly prior to transport. These rules apply to anyone and everyone on the road regardless of what they are driving. Beyond secure cargo are additional rules covering everything from load limits to licensing regulations. Having a truck, trailer, and car to haul doesn’t necessarily mean a person is moving a car legally. And without a good knowledge of the law, a DIY car hauler is taking a risk. Being cited for improper hauling is actually more common than people realize. As a professional, you know what you’re doing every time you load a car and carry it away. You also know how important it is to have an ample supply of straps, chains, and other tools on board whenever you go out on a new job. That’s where Mytee Products can help. Our line of car hauling and towing supplies will keep your toolbox filled no matter what kind of work you do. From straps and chains to emergency lights, we have everything you need to safely haul cars.